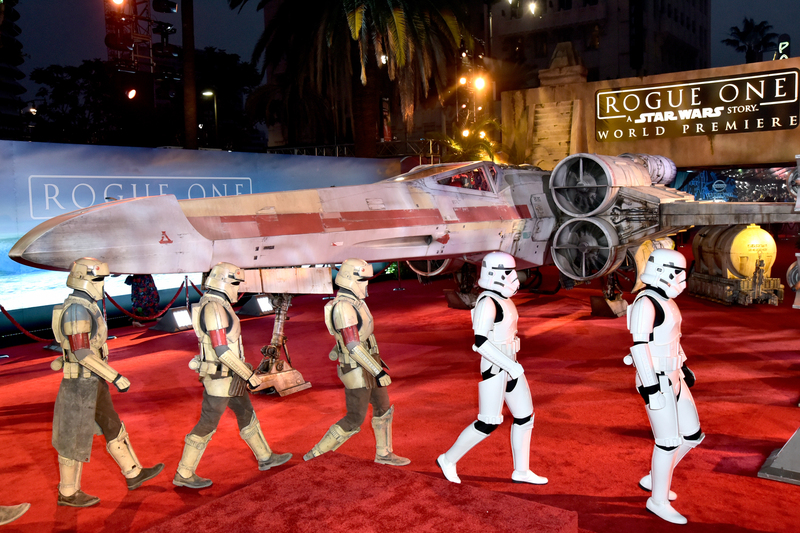 The Force was strong in Hollywood for the World Premiere of Rogue One: A Star Wars Story. The star-studded event showed the first stand-alone Star Wars film to the cast and crew of the film, stars, and special guests. As the guests arrived at the Pantages Theatre on Saturday night they found themselves walking by a life-sized X-Wing and before the night is up there would be Storm Troopers, a Tie Fighter, the Death Star and more! The film was received very positively with the guests cheering throughout the credits. The cheers were followed by enthusiastic tweets from those in attendance. Star Wars fans should be able to rejoice, it appears that Rogue One will not disappoint. According to Variety, the review embargo ends on Tuesday so more details on the movie should become available then for those who want to know more.